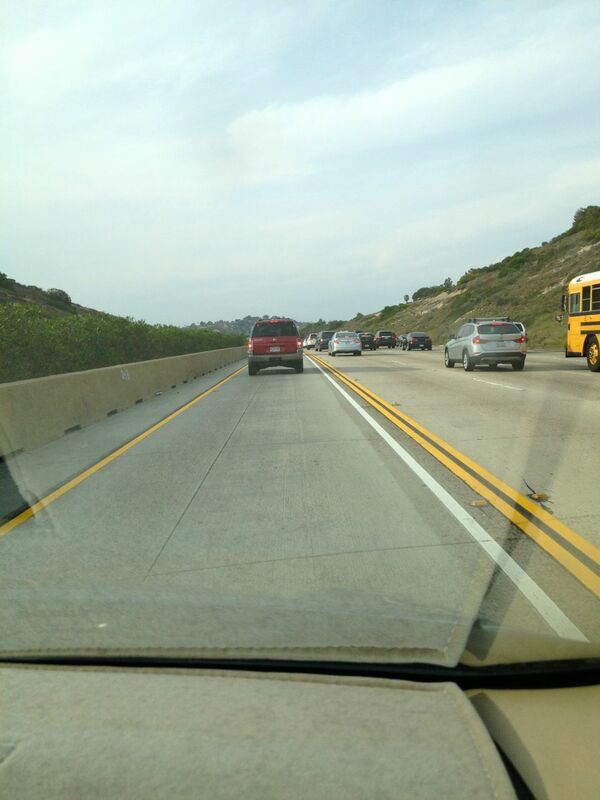 UncleGeorge: Painted Lines on the Freeway ... what does this mean? Painted Lines on the Freeway ... what does this mean? What are all of these lines supposed to mean? I noticed these lane markings on the side of the High-Occupancy Vehicle (HOV) lane on Interstate 5. Does anyone recognize this odd combination of a solid white PLUS double-solid-yellow? What does it mean ... if I cross it for any reason will I have to pay a $2,000 fine? I went to the California DMV website. There is no way to ask a question via the Internet. Their website links to the drivers' handbook, but that scholarly work does not answer this question. Labels: Why did they paint three lines at the side of this HOV lane? DMV Question.